The ENGAGE project is part of the EU Science in society agenda to promote more Responsible Research and Innovation’ (RRI). 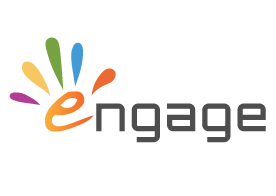 ENGAGE is about equipping the next generation to participate in scientific issues to change how science is taught. Traditionally students gain an image of science as a body of content, whereas RRI deals with uncertain areas of knowledge, where values and argument matter as much as facts. This shift is hugely challenging. ENGAGE focuses on a more inquiry-based methodology, which gives students opportunity for self-expression and responsibility for coming to informed decisions. ENGAGE wins the 2017 OER & Project Awards for Open Education Excellence! Be interesting. It's on the Syllabus. Okada, A. and Bayram-Jacobs, D. (2016) Opportunities and challenges for equipping the next generation for responsible citizenship through the ENGAGE HUB, International Conference on Responsible Research in Education and Management and its Impact. London 2016. Okada, A. (2016) Responsible research and innovation in science education report., eds. Milton Keynes: The Open University - UK.